PRO-10 is a complete line of factory built turns and fittings that creates a 100% NEC Compliant Cable Tray System. PRO-10 fittings connected to a PRO-10 straight section maintains 100% UL Classification that fully complies with NEC. PRO-10’s built-in splice is also UL classified for bonding and grounding, assuring the job is done right the first time, every time. 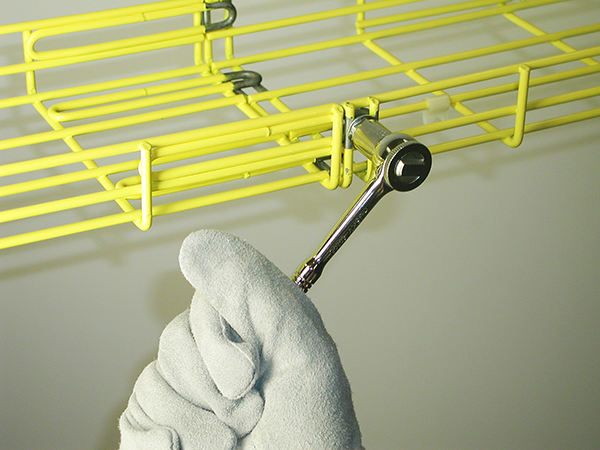 The patented one-tool system reduces installation time by 400% or more and adapts to the most difficult installations. *Conditions apply.